White, especially Afrikaner farmers, often find themselves vilified by politicians in South Africa as conservative, recalcitrant and selfish racists who want to hog the land at the expense of the black majority. However, there are many farmers who come nowhere near falling into such a stereotype, and a recent open letter by one Afrikaner farmer to President Cyril Ramaphosa has gone viral on social media for its appeal to empower and allow existing farmers who want to help with transformation to do so. Nick Serfontein’s letter has been translated and republished in full below. It is an impassioned plea from a commercial farmer who explains what he and others have already done to empower emerging black farmers, and how so much more potential exists with the right approach. He touches on the issue of land expropriation, pointing out that much arable land already exists throughout the country that can be used for transformation without the need for wholesale expropriation from already productive farmers. Serfontein believes that politicians should be kept out of farming as much as possible, except to create policy and to allow the people who know what they’re doing to just get on with it. He is clearly tired of seeing the alleged beneficiaries of corrupt land deals rolling around farmlands in their shiny 4x4s and “Gucci shoes”. I am sure that you meet so many people that you may not remember me. We met during 1996 on a private flight that conveyed you from Cape Town to Mahikeng where you were guest speaker at the 78th birthday celebrations of Madiba. We were accompanied by Dr Peter Modiselle. It was a most enjoyable flight and I continued my onward journey deeply conscious of your wisdom and vision – an impression that has stayed with me to this day. It is now 22 years later. You have since been elected as President of this beautiful land and I now farm in the Northern Free State on a 5500-ha farm that I have built-up with a lot of blood, sweat and tears. My enterprise, which employs 550 people, and which goes under the name “Sernick”, has been developed to include an integrated value chain producing Bonsmara cattle, a feedlot, feed mill, abattoir, meat processing plant and retail butcheries. The motivation for this letter is not that I fear expropriation of my farm but rather that I have, for the last three years, experienced first-hand the hell that emerging farmers go through in South Africa. For 24 years these people, who all have genuine, honest and serious intent, dreams and aspirations to farm, have been forsaken by the Government, mainly due to policy uncertainty, corruption, lack of leadership, capacity and expertise and yes, sadly, political will. How else can one explain the pitiful budget allocations for transformation of the agricultural sector which includes provisions for the acquisition of land. I have, however, come to the conclusion that the problem does not really lie in the shortage of funds or farmland but rather in the lack of will and leadership by Government, but also role players in the private sector. Beginning 2015 I decided that I could not any longer wait for Government to do something about this state of affairs and I commenced, on my own, to implement a programme to support emerging farmers. During the first farmers’ day (the programme was focused on empowering the participants with relevant practical information) held for black farmers in 2015 on my farm, 250 emerging farmers attended and this was followed by similar annual farmers’ days until January 2018. In addition, another 64 mini-farmers days were held in various regions of the country where many more people were exposed to information about the cattle industry in an effort to convey relevant information about what, how, where and when – the intricacies of cattle farming. Since 2015 a total of 75 emerging farmers have completed their NQF3 training with us, all free of charge. I can continue to furnish you with more information about what we have done over the years to draw in and empower black beef producers – that is not the point ; the point is that one commercial white farmer has reached out to his black compatriots and has seen and experienced the excitement and gratefulness in their eyes to the extent that this spurred me on to the point where we moved mountains in terms of training, mentorship and extension during that first and subsequent years. The fruits of these efforts are clear and for all to see. We can now confirm a number of fully fledged commercial cattle farmers about whom I am so proud that foreign visitors that visit my operation also insist on visiting these black colleagues of mine. Towards the end of 2015 the CEO of the Land Bank visited me and we had a discussion about the emerging farming sector. I shared my opinion with him that emerging farmers “were lost in the desert” with no hope for the future. He agreed with me but lamented the situation that the Land Bank’s hands were tied because they could not finance farmers who could not offer any security (ie, land). I proposed that since Sernick had the security in the form of land, it would borrow the required funds from the Land Bank on behalf of emerging farmers, who in turn would purchase weaners that would be contract-fed in our feedlot (to hedge the risks of Sernick). This proposal was agreed to and in May 2016 an amount of R25 million was borrowed from the Land Bank and the project commenced as outlined above. This loan was duly repaid in full one year later and in 2017 this process was repeated, this time with a R50 million loan – again with the same positive results. Sernick has just concluded a transaction with the Jobs Fund with a grant of R150 million together with a R100 million loan from the Land Bank and R250 million counter-financing from Sernick, which will be used to train 660 emerging farmers and to develop (settle) 50 new black commercial farmers over a three-year period. These commercial farmers will participate fully in our value chain and will be invited to acquire shares in Sernick Wholesale, one of the companies in the Sernick Group. Sernick will deliver to these farmers products required by their operations. 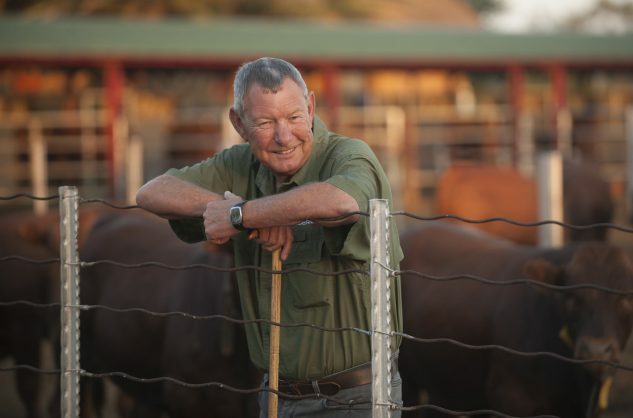 Sernick will be the default destination for their saleable weaners and mature cattle, or they can have their weaners contract-fed in our feedlot. They will not need an Agripark – Sernick will be their Agripark. The idea or concept of an Agripark is not illogical but the notion that it is a specific physical “place” somewhere is based on a false premise. South Africa has many existing “agri parks” scattered throughout the country in the form of rural towns and villages where socio-economic, educational, municipal, infrastructure services and facilities already exist. There may be exceptions to this in which case infrastructure can be developed provided the economic and business viability and sustainability can be proven through a bankable business plan, but it will cost the country dearly to ignore what already exists. In April 2016 I was invited to write an article for Farmers Weekly entitled “Calling on our Commercial and Mega Farmers”. This was an effort to motivate these farmers to become involved with their own and other efforts and programmes to develop and uplift the emerging farmer sector. This article can be googled to see more detail of my plea to commercial agriculture. Many heeded the call and others may still do so. At the annual Nampo Harvest Day held near Bothaville (the largest agricultural show in the Southern Hemisphere) I participated in a panel discussion with the CEO of the Land Bank and the Minister of Agriculture. During this panel discussion I reiterated my firm conviction that the way towards establishing successful black commercial farmers in South Africa is relatively easy and within reach of South Africa; select black farmers with an ability and passion for farming and settle them (with support) on suitable farms with title deed, assign successful commercial farmers to each one of such new black farmers as mentors and within three years such black countrymen and women will stand on their own feet and will contribute positively to the agricultural economy of South Africa. Unfortunately, the lack of real development inputs, actions and programmes as well as a lot of policy uncertainty from Government’s side continued unabated to date, which was exacerbated by corruption, nepotism and other criminal agendas. I have personal experience of people who are politically well connected that have no clue about farming and have never farmed, who have received large tracts of farmland, probably through corruption or other irregular means. They arrive regularly on my farm in their luxury 4×4 vehicles, designer clothes and Gucci shoes. These South Africans, together with corrupt officials are the real vultures of our natural and financial resources. And make no mistake, there are also other (read white) South Africans who continuously try to climb on the bandwagon of greed and corrupt activities. I refuse to do business with any such people who do not have the interests of the country at heart. Mr President, commercial farmers – in fact all categories of farmers – are confronted by many threats and obstacles that affect their day-to-day operations, investment decisions and the like. Climate change, international market and trade complexities, deteriorating local infrastructure, rapid deterioration of local municipal services and the almost total lack of support by Government in terms of research and development, extension services and other measures to enhance agricultural production and trade of our produce which are sought after by consumers in other countries are but a few of the critical matters that need to be rectified. Although it is not the purpose of this letter to lament and complain about the expropriation matter which is currently being dealt with by the Parliamentary Review Committee (where I will make my submission) I cannot otherwise but state that it is another issue that not only retards further development of the commercial agricultural sector, but more importantly it seriously impedes the further and accelerated development of black commercial farmers. I make this statement against the background that there are currently millions of hectares of unproductive agricultural land (as confirmed by the High-Level Review led by former President Motlanthe). I understand that in the Free State alone, 200 000ha of unproductive land is available for resettlement and development. As little as I believe that that the status quo regarding current ownership of land is sustainable, so little do I believe that expropriation without compensation is sustainable and that it should not and must not happen. The decision by Parliament to review the appropriateness of Section 25 of the Constitution has led to serious demoralisation of white commercial food producers. What many of these folks do to support emerging farmers without recognition and any support for their efforts is a sad indictment on the political climate in our country. The level of radicalism and racialism has become a dangerous spiral towards a place where we should not be. In my particular case, for example, not a single Government official has contacted me to enquire about or offer support for the R500 million (the Jobs Fund Project) initiative to support emerging black farmers. I undertook this project because I care for South Africa and its people. It may not be known by many among our country’s leaders of political parties, in Government and in society, that there are many white commercial farmers and other associated role players that really care and want to help and be involved. What really matters is the future of our country and its people – there is no place for egos, petty issues, inferiority complexes, favouritism and other ‘isms’. There cannot be competition for recognition and glory. Successful countries are built by the biblical “sweat of the brows” of its people, by loyalty, focus, dedication, sacrifice, hope, honesty, high moral and ethical standards and the like. Our agricultural sector is dynamic. The country’s farmers can farm and produce. In international terms South Africa lies 25th in terms of numbers of cattle, but we produce the 12th most meat in the world despite the reality that 40% of our national cattle herd is in so-called communal areas where production currently takes place in sub-optimal conditions. Imagine what can be achieved if the whole agricultural sector (including grains production, horticulture and other livestock sub-sectors) is successfully transformed through the development and inclusion of black farmers on viable and sustainable farms – hand in hand with commercial farmers. Select farmers and potential farmers on ability and aptitude. Stay away from people who seek lifestyle farms. Grant title deed to land (even with conditions) to enable leveraging of finance. Abort the current concept of Agri Parks. Rather use the funds to support emerging farmers on a structured basis and to re-capitalise their farms. Rethink the role, function and composition of District Land Committees – they are an expensive and ineffective mechanism whose functions can be undertaken on a more effective basis. Establish a professional development agency to undertake redevelopment of farms, selection of land reform beneficiaries, to provide recapitalisation planning and facilitate funding for this from, eg, the Land Bank; render extension services in partnership with mentors, provide market access, etc. Keep these functions away from Government departments. They have to focus on policy, legislation and to provide an enabling environment for agriculture to prosper. Involve commercial agriculture (farmers). They feel alienated, they want to help but do not know how. The first “port of call” will be to involve them in training and mentorships. They are able and willing to do so. Most, in terms of principle, are willing to do so free of charge. Government (or its agency as alluded to above) must assist to form partnerships to develop unproductive land. The concept of a partnership where funding is provided by Government (30%), Land Bank (30%) and commercial farmers/agri businesses (40%) is excellent but structures are required to ensure governance and to make it work. From a practical farmer point of view, keep politics away from developing farms and emerging farmers. Mr President, if you lead the way along the lines described above I can promise you a successful and prosperous “new” agricultural sector where huge strides are made to alleviate poverty and ensure food security. It sounds elementary because it is not complex – it really is doable. In this regard I also wish to extend an invitation to you to visit our operations in the Free State at a time convenient to you. I am sure that you will find our endeavours ground-breaking and a practical example of what is already being achieved in developing black farmers – real farmers who you will meet and can have discussions with. I know and understand that your time is extremely limited but I can assure you that you will find answers in what we are doing, as well as to many of the questions and challenges that you are confronted with. You ended your SONA address, which has given us so much hope, with the words “Send me”. I wish to say to you, Mr President, “Send us”. Agriculture needs to be revitalised, which in turn will also serve to greatly contribute towards Nation Building which we so desperately hope for.